Don’t forget to signup for iBotta to start saving money on groceries! I wanted to start off with my favorite recipe from this list. This greek marinated chicken recipe, is easy, cheap, and the end result is literally the most flavorful chicken I’ve ever made. Seriously. 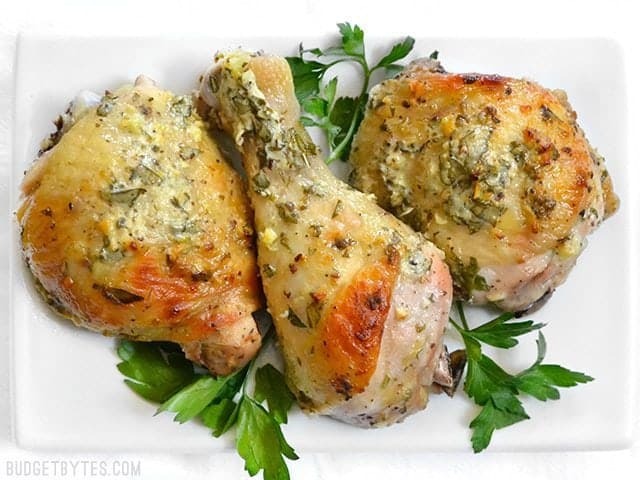 What makes this recipe so delicious is the wonderful marinade made up of greek yogurt, and common spices like garlic, pepper, oregano, salt, pepper, and parsley – there’s also a bit of lemon juice! The chicken is marinaded for 30+ minutes, then you can cook it on the grill or in the oven! Give this delicious recipe a try! Cheese. Bacon. Ranch Seasoning. Chicken. It already sounds delicious! This Low-Carb / Keto-friendly recipe cooks up in about 35 minutes and is the perfect kid-friendly meal to serve your family on a weeknight when you’re pressed for time! To make this recipe, a sauce is made using butter, cream, broth, ranch seasoning, bacon, and cheese. Then chicken and cooked broccoli are added to the sauce, then cheese and bacon are added to the top, and the entire mixture is cooked in the oven. Everyone lovesss pizza, even you, right? Unfortunately, traditional pizza has tons of carbs (sorry pizza crust!). Just hear me out for a second, what if you used zucchini as an alternative to crust? Don’t close this page just yet! Give it a chance, okay? 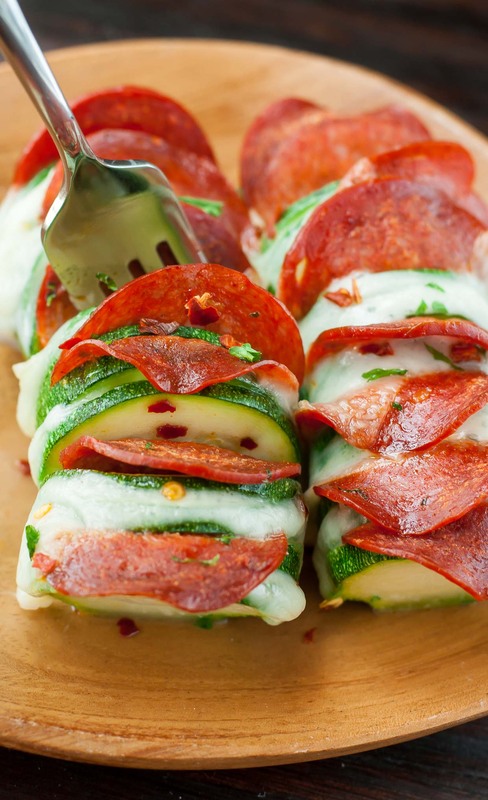 The zucchini is very mild in this recipe, the pepperoni and cheese are the main flavors that stick out – which makes this recipe great for kids and picky eaters. This recipe for hasselback zucchini pizza only has five ingredients, only takes 5 minutes to prep, and is a lovely low-carb alternative to pizza! This little low carb recipe is both budget-friendly and delicious! It uses cauliflower as a replacement for the rice! Clever, right? The only things you’ll need besides the cauliflower is beef, a white onion, carrots, peas, and green onions. Well this recipe uses the flavor of French onion soup and puts it into a low carb pasta bake! Instead of normal noodles you use zucchini noodles, then add some other veggies, some spices, and voila! 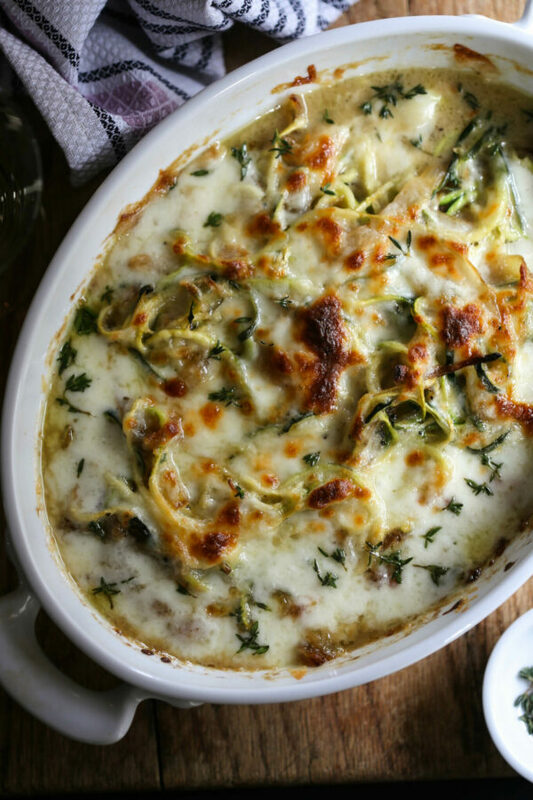 Tasty french onion zoodle bake! All you need is 15 minutes of prep time and then it cooks for 40 minutes. Easy for busy weekdays!